Spring is almost here and the list of events in Geneva, Vaud and nearby France is filled with exciting outings to enjoy with the family. Here’s our list of suggestions, but keep checking our blog though, as we will be updating it with more events each week ! 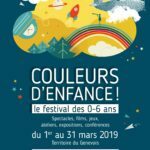 Free kids activities to enjoy with your little ones in Carouge (read here), including story-telling and theatre shows. Remember that some activities require advance booking by phone or email, so do it now as places are limited. The next “Né pour lire” sessions will be on Tuesday 19th March (10am-10.45am) and Saturday 23rd March (3pm-3.45pm) at the Bibliothèque de Carouge (boulevard des Promenades 2 bis). 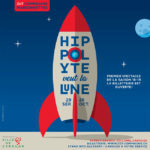 The next free theatre shows at the Espace Grosselin (31, rue Jacques-Grosselin) will be on Wednesday 13th of March at 2.30pm with “Istorya” (from age 4) and on Wednesday 20th March at 2.30pm with “Deux guitares et un crayon” (from age 3). 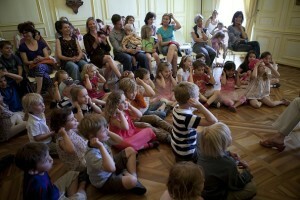 For all parents in Geneva, don’t miss the free multilingual story-telling, flower workshops and dance shows that will be taking place in the city’s public libraries until the end of March 2013 (click here for more info). Book your places now for some of the workshops as they get booked up fast ! Read our previous post to find all the best child-friendly places to enjoy a delicious and stress-free Sunday brunch with your little buttons. 1st-10th March 2013: International Film Festival and Forum on Human Rights (FIFDH) at the Maison des Arts du Grütli in Geneva (16, rue du Général-Dufour). Don’t miss this extraordinary festival, which – as the website says – “will show a series of films and documentaries about contemporary human rights: violence against women, poverty, torture, international justice and climate change” under the motto “One film. One subject. One struggle”. Sunday 3rd March 2013: Free entry to all museums and exhibitions in Geneva, a special initiative organized by the city of Geneva offering free access to permanent and temporary exhibitions on the first Sunday of every month. 2nd-26th March 2013: “L’échappée belle” a puppet-show for kids aged 7 and older at the Théâtre des Marionnettes de Genève. 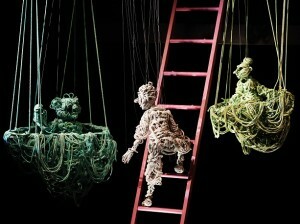 An elegant, surreal show with rope puppets about great escapes and mysterious labyrinths. See the official website for performance times and to book your tickets. 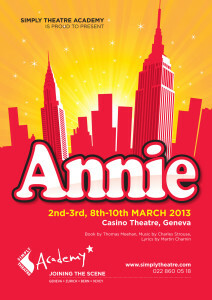 2nd-10th March 2013: Annie the Musical comes to Geneva ! Performed in English by the Simply Theatre Academy at the Casino Theatre. See our previous post to read more about it. Sunday 3rd March 2013: Petits Rendez-vous at Geneva’s MAMCO for little ones aged 5-10m accompanied by an adult: free of charge and no booking required ! Introduce them to the joys of modern art with these fun, interactive tours starting at 11.15am. There will be other tours on Wednesday 6th of March 2013 (Mini Rendez-vous for toddlers aged 2-4 and Petits Rendez-vous for 5-10 year-olds, both starting at 3.15pm). More Petits Rendez-vous on Wednesday 13th, 20th & 27th of March 2013 at 3.15pm. 3rd-24th March 2013: La Brioche des Mioches, from age 5. A delicious brioche, chocolate & tartines snack accompanied by an adorable poetry show for your little ones at the theatre Am Stram Gram in Geneva. Performances take place at 10am on Sundays and 3pm on Wednesdays. Wednesday 6th March 2013: Mercredis Family the Musée d’art et d’histoire in Geneva. These fun, interactive family tours are for children aged 6-11 accompanied by an adult, they’re FREE OF CHARGE and require no previous booking, so definitely worth a try ! Tours are in French, here’s the list of upcoming dates for March: Wednesday 6th March at 3pm “À la chasse aux lions”; Wednesday 13th March at 3pm “Pharaons, momies et compagnie?”; Wednesday 20th March at 3pm “Des couleurs et des formes”. 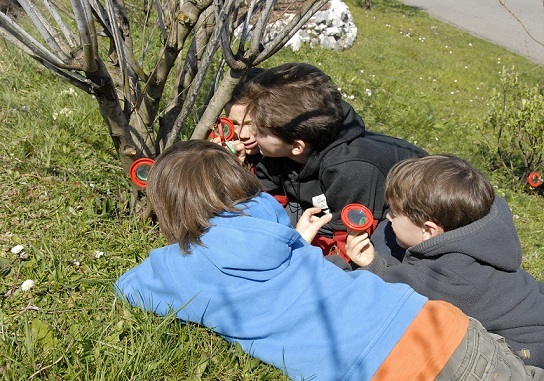 Wednesday 6th March 2013: Ateliers Verts du Jardin Botanique in Geneva for kids aged 8-11 (in French). What better place than Geneva’s beautiful botanical gardens to learn more about nature, micro-organisms and plants ? These fantastic workshops take place on Wednesdays from 2pm to 4.30pm and cost 12 CHF per child. Places must be booked in advance at 022 379 70 68. Click here to donwload the full programme. There will be 2 other workshops this month on Wed. 13th and 20th of March 2013. 7th-17th March 2013: 83rd International Motor Show at Geneva’s Palexpo. This motorshow needs no introduction so we’ll just share some good tips: all tickets bought on site after 4pm are half price; there will be a day nursery in the Entrance Hall, caring for children aged 3 months – 7 years (1st hour free of charge, after that CHF 6 per hour). Last but not least, beware of the traffic congestion around Geneva’s airport for the duration of the motorshow. 7th-17th March 2013: L’autre salon, organized by the association PRO VELO Genève, runs in parallel with the International Motorshow and offers an eco-friendly alternative for all those people who’d rather cycle than drive. 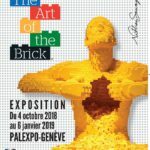 This is ‘alternative’ Geneva at its best: the programme is filled with very interesting activities (wheteher you’re a bike-pro or not) including a bike acrobatics show at the Bains des Pâquis, live music in various locations, a “velogrill” open BBQ in Plainpalais on Sunday 10th March from 4.30pm and much more. Click here for the full programme, park the car and get on your bike ! Friday 8th March 2013: “Zarafa” the animated movie for kids aged 5 and older at the Aula des Colombières in Versoix (Route de St-Loup). Lovely cinema sessions for kids and their parents/carers, starting at 4.30pm. 8th-16th March 2013: Caprices Festival in Crans-Montana is an absolute must-see for all music lovers. Artists who will be performing at this superb festival include Tori Amos, Fat Boy Slim, Bjork, Alice Cooper & the Killers. Time to book that baby-sitter folks ! 8th-9th March 2013: Inauguration of the new Dressingbook.ch store in Rolle (18, av. de la Gare). Join mumpreneur Delphine on Friday 8th of March from 4pm or on Saturday 9th of March from 9.30am for a little dejeuner and browse the shop for some fab deals on second-hand designer clothes, shoes and accessories for mum & baby. Click here to find out more about Dressingbook.ch. 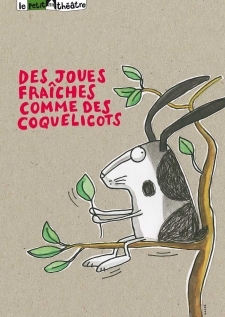 Saturday 9th March 2013: “Contes amérindiens”, free story-telling in French for children (from age 5) at Au Chien Bleu bookshop in Geneva (11, rue Leschot). No advance booking is required but places are limited so get there early! You can read more about Au Chien Bleu in our previous post. Saturday 9th March 2013: Family Factory at the Centre d’Art Contemporain Genève (10, rue des Vieux-Grenadiers). This is an interactive visit of the current Hotel Abisso exhibition & art workshop for the whole family (next appointments will be on Sat. 16th and 23rd March). The first group is at 11am and the second at 2pm, advance booking at 022 329 18 42 is highly recommended as places fill up fast – cost per family 10CHF. Recommended for kids aged 3-6 accompanied by an adult. 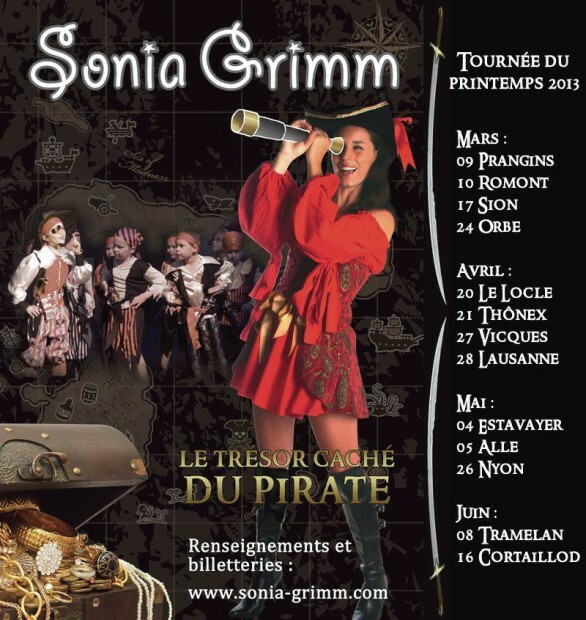 Saturday 9th March 2013: “Le trésor caché du pirate” Sonia Grimm’s latest show for kids from age 2 at the Salle des Morettes in Prangins. From 4pm your little pirates ahoy will be entertained with music, songs and lots of fun (in French). Tickets can be booked here. Sunday 10th March 2013: La Tribune des Jeunes Musiciens live classical concerts at the Studio Ernest Ansermet in Geneva (RTS – Passage de la Radio 2) performed by young, talented musicians. The concert on the 10th of March will feature Swiss soprano Eva Fiechter, accompanied by Harriet Lawson at the piano. Entry to these monthly concerts is free and no booking is required. Performances start at 5pm. Sunday 10th March 2013: Toutes en Moto, motorbike parade to celebrate the Journée internationale des droits de la femme. Starting at 1pm in Plainpalais – don’t miss this fab parade of lady riders, with live music and food stalls. Sunday 10th March 2013: Brunch’n’ride at La Barje des Volontaires in Geneva (26 rue de la Coulouvrenière). This fab “mobile brunch” is for all bikers taking part in the activities of L’Autre Salon programme: make this your pit-stop before following the parade around town ! Tuesday 12th March 2013: from 9am to 11am, “Aux mille voyages” storytime in French for children at the Bibliothèque Aux Mille Feuille in Gland (38 grand rue). Tuesday 12th March 2013: Cinéma Cinéma!, free cinema session for kids aged 10 and older at the Bibliothèque de la Servette in Geneva (Rue Veyrassat 9). Take your seats & enjoy “Chicken Run” at 7.15pm, free entry for all. Wednesday 13th March 2013: “C’est lui qui a commencé !”, a delightful puppet-show for kids aged 3-9 performed by Les Parlottes des Théopopettes at l’Espace Fusterie in Geneva (18, place de la Fusterie). Show starts at 3.30pm, no booking required. Tickets are 3CHF per child and free for accompanying adults. Wednesday 13th March 2013: Chapeau les champignons! 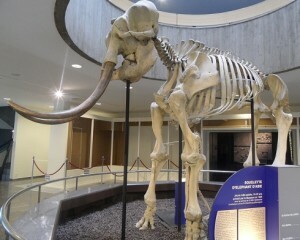 Wednesday workshops in French from age 7 at the Muséum d’histoire naturelle in Geneva (1 route de Malagnou). The workshops are free of charge and take place every Wednesday from 2pm to 4.30pm on the second floor until the 26th of June 2013. Your little explorers will be able to learn more about the secret and fascinating world of mushrooms and also make some great mushroom-themed crafts. 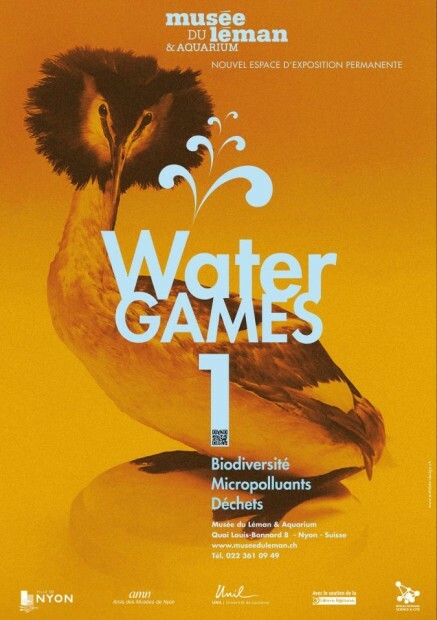 The workshops run in parallel with a new exhibition organized in collaboration with the Société mycologique de Genève starting on the 14th of March until the 4th of August 2013. Wednesday 13th March 2013: Les petits endez-vous du mercredi autour du cinéma d’animation at the Centre d’Art Contemporain Genève (10, rue des Vieux-Grenadiers) in collaboration with Animatou. Enjoy some beautifully produced animated movies with your littles ones, entry is free and they start at 3pm so don’t be late! From age 5. Friday 15th March 2013: Ciné nature at the pavillon Plantamour organized by the Association la Libellule. Entry is free and you can bring your own pic-nic, the projection of “Rencontre avec les ours”, a documentary about bears by Pierre Walder starts at 6.30pm at the Pavillion Plantamour in Geneva (112, rue de Lausanne) and Mr Walder will be available to answer all the questions your little ones may have at the end of the screening. 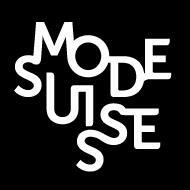 Friday 15th March 2013: Mode Suisse a great fashion event at the Pavillon Sicli in Geneva (Route des Acacias 45). Book your place for 2 fashion shows at 7pm or 9.30pm and feast your eyes on some fab couture by local upcoming designers. This is the 3rd edition of Mode Suisse in Geneva, don’t miss it! 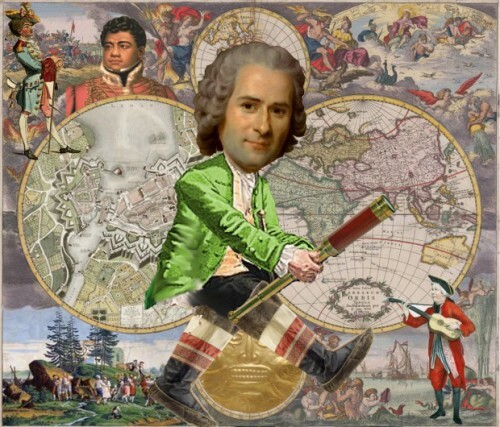 15th-17th March 2013: Ludesco Games festival at La Maison du Peuple in La Chaux-de-Fonds (approx. 2 hour’s drive from Geneva, 1 hour’s drive from Lausanne, in the Jura region). This fun festival is open to all, from experienced players to newcomers. There will be over 300 games at your disposal to choose from, as well as tournaments, conferences and workshops. See the official website for full details. Saturday 16th March 2013: “Jeu et massage” workshop for children and their parents about the playful side of contact, relaxation and massage. For children aged 3-7 and their parents, from 10am to 11.15am at l’Ecole des parents in Geneva (99 rue de Lyon). Saturday 16th March 2013: Open Day at the Conservatoire de l’Ouest Vaudoise in Nyon (Villa Thomas – 4, route de Genève). Pop round anytime from 10am to 12.30 to find out about their music classes. They also offer lessons from the age of 3. 16th-17th March 2013: chocoholics rejoice as the Festichoc is back in Versoix for its 9th edition. This is the best chocolate festival in the Suisse Romande: with over 27 exhibitors and chocolatiers present you will be able to taste some delicious chocolate, learn how these scrumptious creations are made and also take part in a Easter Egg hunt on Sunday 17th at 11.30am. See the official website for full details. Sunday 17th March 2013: “Contes à reBourg”: “Sa Majesté le Roi Eugène de la Demi-Douzaine” story-telling in French for kids at the café théâtre Le Bourg in Lausanne. If you live near Lausanne and are a bit short of ideas on what to do with your little muffins on a Sunday, take a look at this great new programme of tales and story-telling for children aged 6 and over. Sessions begin at 3.30pm on Sundays, but the theatre’s bar opens at 3pm. Each tale encourages the little ones to take part, discuss and help develop the storyline so it sounds like great fun ! Sunday 17th March 2013: Sunday brunch at the Vivarium in Lausanne. From 10am to 3pm, enjoy a delicious buffet-style brunch at the Vivarium in Lausanne – Europe’s largest collection of live poisonous reptiles. Brunch only is 15CHF per adult and 8CHF per child under the age of 12; if you’d like to have brunch and also visit the Vivarium then the price is 23CHF per adult and 13CHF per child under 12. Sunday 17th March 2013: “Soucis de Plume” a puppet-show from age 4 at the Théâtre de Beausobre in Morges (Avenue de Vertou 2). There will be one performance at 11am – price 16CHF. Sunday 17th March 2013: “La Fanfare de Brême” a puppet-show from age 4 about the classic brothers Grimm tale of the Bremen town musicians. On Sunday 17th & Wednesday 20th March 2013 at 14:30 at Le Manège in Onex (Route de Chancy, 127). Visit the Spectacles Onesiens’ official website for more info and to book your tickets. Sunday 17th March 2013: What The Frock (WTF) Vide-Dressing at the Vert Bouteille in Carouge (7, rue Vautier) from 11am to 7pm. A pop-up store experience like no other: clothes, accessories & gorgeous jewelley from upcoming local designers, as well as melt-in-the-mouth macaroons and local wines. Email wtfdressing@gmail.com for more info. 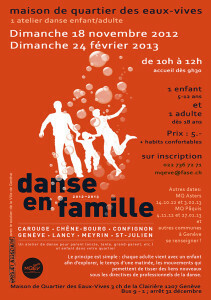 Sunday 17th March 2013: Danse en famille at the Pavillon de la villa Tacchini (11, ch. de l’Avenir – Petit-Lancy). Take your munchkin dancing from 10am to midday for just 5CHF. Quick, book your places now as they fill up very quickly ! By email at h.mariethoz@lancy.ch or by phone at 022 706 15 34. 17th-23rd March 2013: Festival Archipel des musiques d’aujourd’hui, contemporary music festival at the Maison Communale de Plainpalais in Geneva. Tuesday 19th March 2013: Projections gratuites de petits films d’animation, free cartoon screenings for children at the Cinéma Bio in Carouge (Rue Saint-Joseph 47). Starting at 9.30am these cinema sessions for little ones are completey free-of-charge but places must be booked in advance at petits@animatou.com or 022 734 11 84. Click here to see which short movies will be shown. 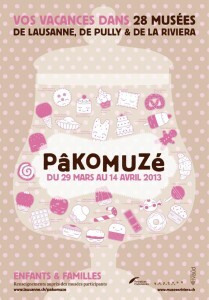 Tuesday 19th March 2013: don’t forget to book your places for Pâkomuzé, a series of fab family events taking place during the Easter holidays in Lausanne, Pully and Vaud. Read all about it here. 19th-20th March 2013: Summer sale at Mac & Fred, 26a route de Coppet in Commugny – from 9.30am to 6pm. Don’t miss it, it’s going to be fab! 19th-24th March 2013: PinkPunk Cirkus at the theatre Am Stram Gram in Geneva. From age 8, this is a magical show about the acrobatics of poetry and dance. 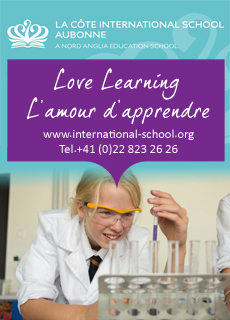 See the official website for more info and to book your places. Wednesday 20th March 2013: Les petits endez-vous du mercredi autour du cinéma d’animation at the Centre d’Art Contemporain Genève (10, rue des Vieux-Grenadiers) in collaboration with Animatou. Enjoy some beautifully produced animated movies with your littles ones, entry is free and they start at 3pm so don’t be late! From age 5. Wednesday 20th March 2013: Spring sale at Spice Your Life in Bassins (11, rue de Raulan). Spice Your Life will hold a unique sale of 40% off everything (except new arrivals of course…) to celebrate the big ‘4 0’! From 2.30pm to 8pm. Wednesday 20th March 2013: “Oh Loup !”, a delightful theatre show for little ones aged 4 and older that deals with exiles and leaving our homes for new shores. Performance starts at 3pm at La Maison de Quartier de Jonction in Geneva (18bis av. Ste-Clotilde). See the official website for ticket prices and bookings. Reservations can be made by phone at 022 418 94 94. Wednesday 20th March 2013: La Belle au Bois Dormant, Tchaikovski’s famous ballet performed by the Théâtre Municipal Académique de l’Opéra et Ballet de Kiev. At 8pm at the Théâtre du Léman in Geneva. Wednesday 20th March 2013: “La Grenouille de l’espace”, a puppet-show about a fantasy trip to the future for kids aged 3 and older at Catalyse in Geneva (Rosemont 14). This show is part of their “Les mercredis grenadine” programme for little ones. Show starts at 3pm, tickets for children are only 10CHF including an afternoon snack after the show. Reserve your places in advance at 022 700 64 75. Wednesday 20th March 2013: Moments d’histoires en français at the Ludothèque de St-Prex, Centre de Vieux Moulin (VD) from 3pm to 4pm. Don’t miss this lovely story time about spring inspired by the illustration of local artists Etienne Delessert, Albertine & Anne Crausaz. Storytime will be followed by some arts and crafts and a short movie. Cost 2CHF per child. 20th March 2013: “L’histoire du samouraï qui n’a peur de rien et autres contes japonais” storytime in French at the Société de Lecture de Genève read by Caroline Langendorf (from age 8). These sessions take place once a month on Wednesday from 3.30pm to 5pm and include a snack. Tickets are 10CHF per child and 15CHF per adult (non-members pay 15CHF per child and 20CHF per adult). 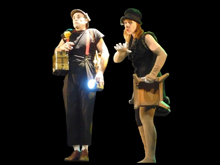 Wednesday 20th March 2013: La fée couleur, a theatre show for children aged 4-8 at the Esplanade du Lac in Divonne-les-Bains (France). Songs, music and games are at the centre of this fun show, starting at 3.30pm – visit the official website for further info and to book your tickets. 20th-21st March 2013: Pop-up store Thalia & Bubu in Geneva. Thalia & Bubu invite you to discover their new collections for Spring/Summer 2013. Your kids will have their own creative space at the drawing table by Les Moustaches de Charlie and will be able to taste the delicious cakes of Laura Moser, Pastry & Cake Design. At 10, place de la Taconnerie in Geneva (doorbell Esteve on the 1st Floor) From 10.30am to 7pm. 20th-24th March 2013: “Le voleur de pluie” a puppet-show from age 4 at the Salle Communale in Gy. Performed by Marionnettes les Croquettes, visit the official website for more info. 20th-24th March 2013: Rock the Pistes Festival at the Portes du Soleil. If you love skiing and rock music then this is the right festival for you: with great live concerts right on the best ski slopes in Europe, fun is pretty much guaranteed (and the best thing is, you can enjoy a live rock concert without having to book the baby-sitter!). Visit the official website for full details. 20th-24th March 2013: “Des joues fraîches comme des coquelicots” a theatre show for kids ged 8 and older at Le petit théâtre in Lausanne. A modern take on Little Red Riding Hood told by a singing group of 7 girls. The show was nominated in 2007 at the Molières awards as best kids show. Thursday 21st March 2013: Lykka kids clothing sale at Spice Your Life in Bassins (11, rue de Raulan). This will be a Monamici sample sale: discover this beautiful Swedish children’s brand in various baby and kids sizes. Both Summer & Winter collections at great prices. Thursday 21st from 5pm tp 8pm, apéro on the house! 21st-28th March 2013: “Semaine contre le racisme” in Geneva. A plethora of fascinating events, theatre shows and exhibition focused on the fight against racism. See the official website for full details. 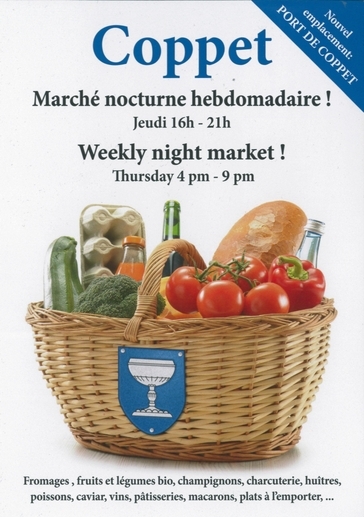 Thursday 21st March 2013: Marché nocturne hebdomadaire, Coppet’s weekly farmers’ market: from 4pm tp 9pm under the beautiful arches of Place des Ormes. You’ll find organic produce, oysters, cheese, wine and delicious pâtisseries – very hard to resist! 21st-24th March 2013: Mednat Expo at the Expo Beauliue in Lausanne. This is the largest and most important exhibition in Switzerland dedicated to natural remedies, healthy eating and organic produce. With over 240 exhibitors, yogathon sessions and cookery workshops there is something for everyone! See the official website for full details. 21st-23rd March 2013: Mary Poppins, an unforgettable family show with all the songs, music & dance we all know by heart ! At the Théâtre de Beaulieu in Lausanne, visit the official website for full details and to book your tickets. Friday 22nd March 2013: “Mari Iyagi” South Korean animated movie for kids aged 7 and older at the Aula des Colombières in Versoix (Route de St-Loup). Lovely cinema sessions for kids and their parents/carers, starting at 4.30pm. Saturday 23rd March 2013: Troc de jouets, second-hand toy sale at the Bibliothèque Aux Mille Feuille in Gland (38, grand rue). From 1.30pm to 3pm, don’t miss it ! Saturday 23rd March 2013: Grand troc de jouets at the Salle Communale of Crans-près-Céligny from 11am to 3pm. The best second-hand sale to find great toys at bargain prices. 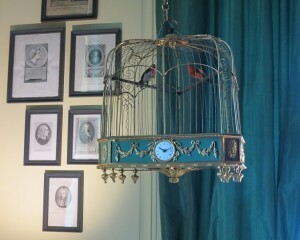 Saturday 23rd March 2013: vernissage of the new permanent exhibition “Noblesse Oblige” at Prangins Castle from 4pm to 7pm. Free entry. Find out more about this fantastic family exhibition in our previous post. Saturday 23rd March 2013: Salon Croque Loisirs au Vitam’Parc. Do you need help finding a holiday camp or activity for your children during the Easter break ? 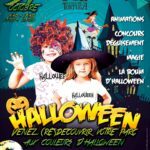 If so, head to Vitam’Parc between 10am and 8pm for the Croque-Loisirs expo where you’ll find all the info you need about available camps, kids workshops and more. 23rd-24th March 2013: Aperti in Lausanne allows the public to visit the studio of local contemporary artists from noon to 6pm. See the official website for full details and the complete list of participating artists. 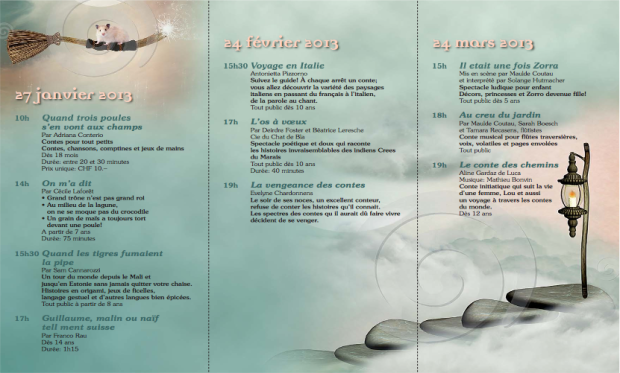 Sunday 24th March 2013: Contes dominicaux in French at the Pavillon Plantamour in Geneva (112, rue de Lausanne). From age 5, a lovely story-time about nature starting at 4pm. Sunday 24th March 2013: it’s time for the Harlem Shake in Geneva at 4pm at the Jardin Anglais. Over 300 people are going, will you ? Sunday 24th March 2013: “Histoire autour des Fontaines” guided tour of Nyon (VD) in French. Tour starts at 10am and the meeting point is right in front of Nyon’s castle. 10CHF per adult, free of charge for children. Sunday 24th March 2013: Marché de Pâques on rue de Rive in Nyon from 8am to 6.30pm. Beautiful Easter handicrafts and gifts, while you take in the stunning lakeviews – what more can you for? Sunday 24th March 2013: Sunday Brunch au domaine Jean-Paul Métroz & Fils in Begnins (VD). From 10am to 2pm, enjoy a delicious buffet-style brunch at this lovely winery. Choose from local pastries, cheese and charcuteries, homemade jams and more delicacies. Price is 32CHF per adult, 12CHF for children aged 6-12, free for children under 5. Advance booking required at 079 438 56 31. 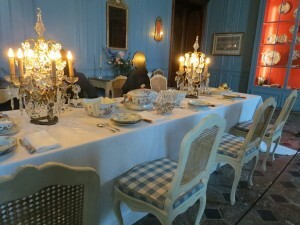 Sunday 24th March 2013: “Fête au château” a wonderful day-out for the whole family at Prangins Castle to celebrate the opening of their new permanent exhibition “Noblesse Oblige”. This Journée Portes Ouvertes promises to be a fantastic family day-out with actors in period costumes entertaining the visitors, music and dance performances, fun workshops and special tours run by children from local schools who will be sharing the history of their favourite objects. Free entry and activities from 10am to 5pm. Sunday 24th March 2013: Les dimanches du conte at the Théâtricul in Chêne-Bourg (64, route de Genève) are part of the Swiss Tales initiative. 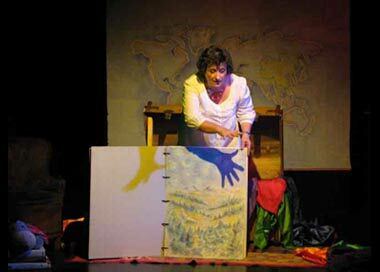 From 3pm let your imagination be guided by some fascinating story-telling for children aged 5 and older, starting with “Il etait une fois Zorra”. The 7pm session entitled “Le conte des chemins” is only for kids aged 12 and older. 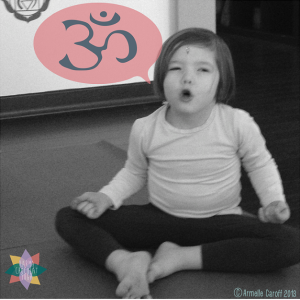 Sunday 24th March 2013: Family Yoga workshop and yoga pour les petits at AliaOm yoga centre in Annemasse. You can find out more about AliaOm in our previous post. 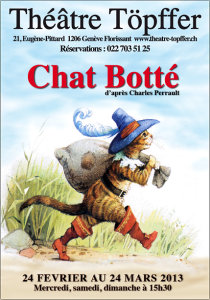 until 24th March 2013: “Le Chat Botté” the classical Perrault’s tale will be brought to the stage at the Théâtre Rodolphe Töpffer in Geneva. Read all about it in our previous post. until Monday 25th March 2013: book your places for the Brunch dans les Tulipes in Morges (VD). Celebrate the start of Morges’ fabulous tulips festival with this delectable Easter brunch under the Relais marquee (Parc de l’Indépendance), from 11am to 2.30pm. 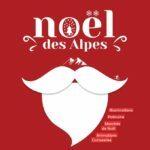 Price per person CHF 32.-, Children from 6 to 12 years old CHF 20.-, free for children under the age of 5 years old. Reservations will be accepted until the 25th of March 2013, book your places at Relais Services 021 811 51 71. Monday 25th March 2013: unfortunately, KIDSpace in Lausanne (Av. Juste-Olivier 10-12) will be closing down soon, so they will be holding a contents sale on Monday 25th March from 2pm to 6pm and Wednesday 27th March 2013 from 10am to 5pm. Everything inside has to go: toys, books, puzzles, art materials and furniture (tables, sofas, chairs, kids furniture) so pop round and pick up a bargain! Wednesday 27th March 2013: “Dieu, tu fais quoi ?”, a puppet-show about philosophy for kids aged 3-9 performed by Les Parlottes des Théopopettes at l’Espace Fusterie in Geneva (18, place de la Fusterie). Show starts at 3.30pm, no booking required. Tickets are 3CHF per child and free for accompanying adults. 27th-28th March 2013: Ateliers Créatifs in French from age 8 run by the association Bazar d’Azurs at Les ateliers «Grain de sel» in Geneva (8, rue Prévost-Martin). The workshops on the 27th will be “Guirlandes de Printemps -bricolage” from 9am to midday and “Teinture d’Oeufs à l’ancienne” from 1.30pm to 4.30pm. On the 28th: “La Poule aux Oeufs d’or – bricolage” from 9am to midday & “Jardin de Pâques – création végétale” from 1.30pm to 4.30pm. See the official website for full details and prices. 28th March 2013: Apero Jazz from 6pm at the Caveau des vignerons de Nyon (on the lower-ground floor of Nyon’s castle). Try some local wines and delicacies while a live jazz band stes the mood for the night. More info about Provinyon here. 29th March 2013: Reopening of the Musée du Léman in Nyon. Free entry for all from 10am to 5pm, don’t miss this fab child-friendly museum with all its interactive stations, aquarium & kids workshops (music with la Bulle d’Air or nature workshops). See the official website for full details. 29th March-14th April 2013: Pâkomuzé is a series of fab family events taking place during the Easter holidays in Lausanne, Pully and Vaud. Don’t miss it! You can read all about it here. Saturday 30th March 2013: story-time in English at the Off-the-Shelves bookshop in Geneva (15 bvd Georges Favon). The sessions start at 10.30am and take place on the last Saturday of every month – don’t miss the special discounts on kids books purchased during storuytime sessions (10am to midday). Saturday 30th March 2013: Easter brunch & kids egg-hunt at La ferme de Merlinge. We absolutely love La ferme de Merlinge, especially when the weather is nice and brunch is served outside. Read our previous post to find out more about it and look at some of our photos! Price for the Easter brunch is 50CHF but places are limited so you must book in advance at 022 759 15 92 or by email at fermedemerlinge@bluewin.ch and confirm at what time you wish to have brunch (available from 9am to 1pm). The Easter egg-hunt (from age 4, 10CHF per child) will start at 11am and this also requires an advance booking. Every Saturday – if the weather is good – you can also hop on their train and take a little tour of the surrounding countryside. 30th-31st March 2013: Easter in the Pays-d’Enhaut. Discover the Easter market in Château-d’Oex, filled with free activities for children including donkey rides, clowns and a play area with bouncy castle. There will also be live music, an introduction to Swiss wrestling, an antiques market in the centre of the village as well as craft stands. Try some local delicacies in the many delicious food stalls too! Sunday 31st March 2013: Les puces de Nyon, a fantastic flea market along Nyon’s lakeside. If you go, it’s not just to look for a bargain but for the stunning views too! Sunday 31st March 2013: Sunday Brunch au domaine Jean-Paul Métroz & Fils in Begnins (VD). From 10am to 2pm, enjoy a delicious buffet-style brunch at this lovely winery. Choose from local pastries, cheese and charcuteries, homemade jams and more delicacies. Price is 32CHF per adult, 12CHF for children aged 6-12, free for children under 5. Advance booking required at 079 438 56 31. Sunday 31st March 2013: Giant Easter Egghunt at the château de Voltaire in Ferney Voltaire (France). Children aged 6 to 12 will have great fun trying to find where all the chocolate eggs have been hidden in and around Voltaire’s castle ! From 10am to 1pm and then from 2pm to 6pm. Free entry under the age of 18. 5th-7th April 2013: Journées Européennes des Métiers d’Art in Geneva. Would you like to see what happens behind the scenes of the city’s most important cultural institutions? Would you like to meet the people who work there and learn more about what they do? 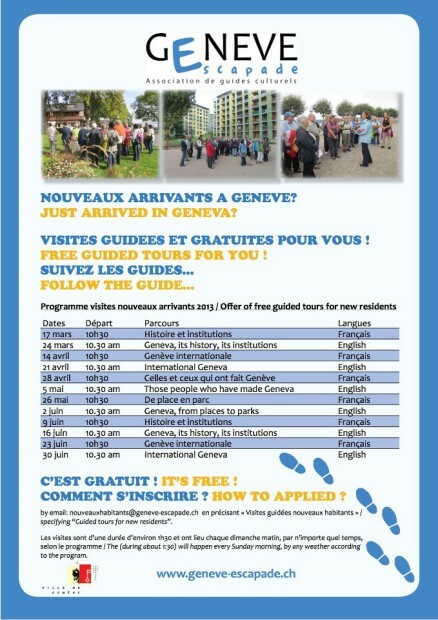 If so, book your place for one of the guided tours or free workshops taking place during these Easter holidays in Geneva. Visit the official website for full info and to reserve your place, but hurry as they fill up fast! until 12th April 2013: Croisière « Fondue fromage », why not take in the beautiful scenery of Lake Geneva on board a cruise whilst indulging in your favourite Swiss national dish ? Take a look at the official CGN website for full details of these “fondue cruises” that depart from Geneva, Lausanne, Morges, Evian and Thonon every Friday evening (departure times vary). 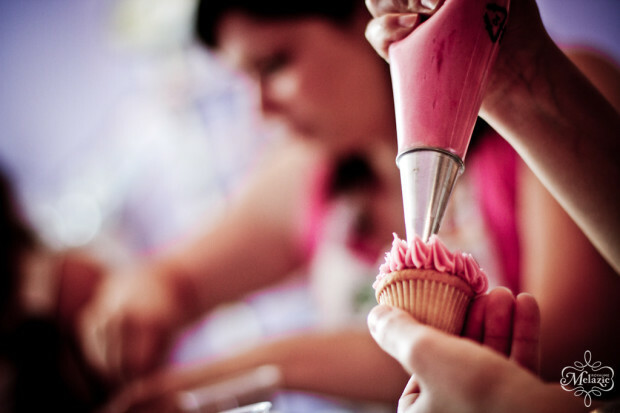 Cupcake decorating courses in Lausanne: have you always wanted to learn how to make beautifully decorated cupcakes ? If so, take a look at our previous post. Le Royaume Melazic offers great workshops for all levels on Thursday evenings, Saturday mornings and Wednesdays at 2pm. until 17th March 2013: “TOUCH. Le monde au bout des doigts”, an interactive exhibition focused on the sense of touch at the Fondation Claude Verdan in Lausanne. Recommended from the age of 8, it’s a great day out with your little ones especially on a rainy day as the museum is open from 11am to 6pm on Saturday and Sunday ! until 22nd March 2013: “La Coupure – Jeux d’images et de langage”, a series of installations about the power of words and how we can play with them at the Forum Meyrin (1, place des Cinq Continents). 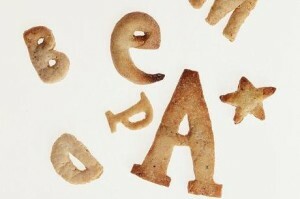 From the 5th to the 9th of March 2013 you can book a place on the kids workshop “Les mots à la bouche” where your little chefs will make alphabet letter biscuits. Visit the official website for full details. The current exhibition at the Musée d’histoire des sciences in Geneva is called “Les jeux sont faits ! hasard et probabilités” and runs until the 7th of April 2013. Entry is free and the exhibition is a fun way to learn about probability calculations via the medium of dice games, roulette and other childhood games we’ve all played. 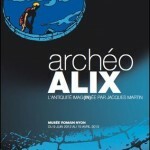 The Archéo Alix exhibition in Nyon will run until the 15th of April 2013. It’s a great day-out if your children love bandes dessinées and would like to learn more about life in Roman times. At the Musée romain de Nyon. If the weather lets us down this Sunday, why not take the tiddlers to the Natural History Museum in Geneva to see the dinosaurs and the KK-Zoo exhibition? until 26th June 2013: Chapeau les champignons! Wednesday workshops in French from age 7 at the Muséum d’histoire naturelle in Geneva (1 route de Malagnou). The workshops are free of charge and take place every Wednesday from 2pm to 4.30pm on the second floor. Your little explorers will be able to learn more about the secret and fascinating world of mushrooms and also make some great mushroom-themed crafts! The workshops run in parallel with a new exhibition organized in collaboration with the Société mycologique de Genève starting on the 14th of March until the 4th of August 2013.
until December 2013: Indestructible énergie, an interactive exhibition about energy at the Espace des Inventions in Lausanne. The exhibition is tailored for your budding scientists and makes learning about energy fun & engaging ! Click here to watch a short video about it.